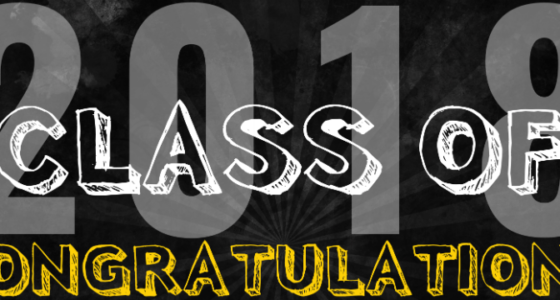 Hardin Northern High School will hold its 2018 commencement on Sunday, May 20, at 2:00 pm in the auditorium. Seven of the 27 graduating seniors have been selected as Honor Court graduates. Each of these students has maintained a grade point average between 3.5 and 4.0 on a 4.0 scale and will receive an Honor Court medallion at the commencement. Shelby Danae Alloway is the daughter of Matthew and Jennifer Alloway of Dunkirk. She currently has a 3.89 GPA and plans to attend California University of Pennsylvania to obtain her Master’s Degree in Athletic Training while playing volleyball. In high school, Shelby has been involved in FFA as the Sentinel and Treasurer, President of the FCCLA, Student Council Representative for 4 years, FCA, Yearbook Staff, varsity track for 1 year, and has been a varsity letter recipient in volleyball and softball for all 4 years. Shelby was named Elks Teen of the Month for October, inducted into National Honor Society her junior year, was named All-Academic NWCC, NWCC Volleyball Player of the Year, NWCC 1st Team for volleyball and softball, received her Greenhand and Chapter Degrees for FFA and earned a Gold Rating while placing 2nd in Districts for her Treasurer’s book. Shelby has also received a Vulcan Merit Scholarship, an Athletic Scholarship, an HN FFA Scholarship, and the Lotz Family Scholarship. Cassidy Taylor Deckling is the daughter of Rob and Traci (Jolliff) Deckling of Dola. She plans to attend Ohio Northern University majoring in Pre-Law studies. 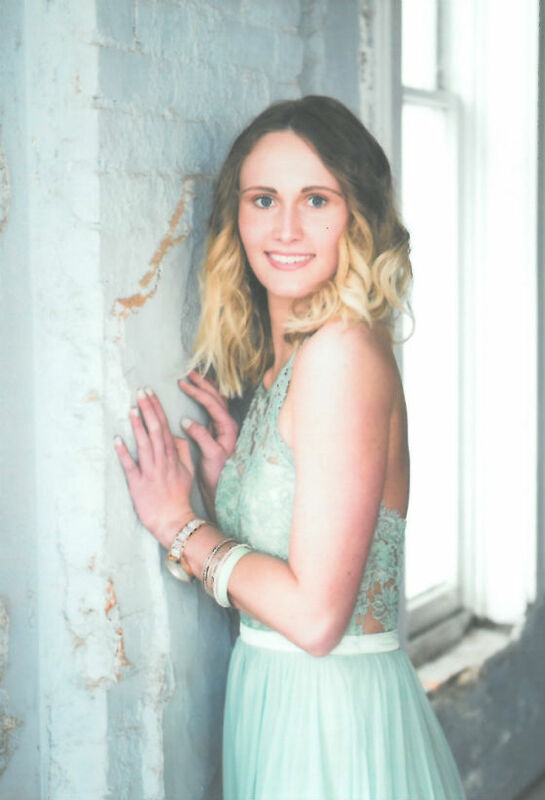 She has received the Ohio Northern University Trustee Scholarship, the Ohio Northern University Legacy Scholarship, the Lotz Family Scholarship, and the Hardin Northern FFA Scholarship. 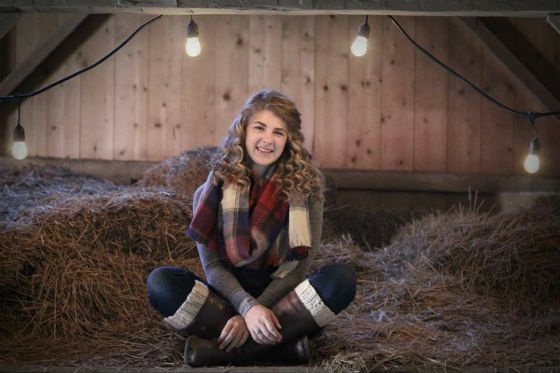 Cassidy is a member of Awakened Commotion, FCA, National Honor Society, Student Council (Class Senator), and FFA (President and Parliamentarian) at Hardin Northern. Cassidy has participated in many different Career Development Events through FFA, placing in many district contests. She has participated in many leadership conferences through FFA including the Ohio State University Sigma Alpha Young Leaders Conference and the Hardin County Women’s LEAD Conference. Cassidy has been a member of the Blanchard Pleasant Buckeyes 4-H Club for nine years where she has served as the President, Secretary, Reporter, and Health and Safety Officer. Cassidy is a member of the Walnut Grove United Methodist Church. She has also played varsity softball and varsity volleyball for four years, earning many special awards and league honors. She played club volleyball for a total of ten years. Cassidy is an All-Conference Academic Athlete and was selected as an Elks Teen of the Month. Outside of school, Cassidy spends a lot of time in the community and volunteering. She has been a member of the Hardin County Junior Fair Board (Vice-President), Ohio Cattlemen’s Association, Ohio Cattlemen’s BEST Program, National Maine Anjou Association, and the Hardin County Cattle Producers. Cassidy has served as the Hardin County Beef Princess and the Hardin County Beef Ambassador. Volunteering with youth, Cassidy has been a Farm to Table mentor for kids of Hardin County. She has also been a Relay for Life volunteer, a GOBA volunteer, a Dunkirk Food Pantry volunteer, a Hardin Northern Band Boosters volunteer, a Track and Field Day volunteer, an FFA Cans for Christmas volunteer, an Elementary Agriculture volunteer, and has volunteered for the annual Fairground Clean-Up Day. Cassidy has raised both market lambs and cattle and has shown at the Hardin County Fair and in club organizations for ten years. Lacey Brianne Isenbarger is the daughter of Greg and Vicki Isenbarger of Dunkirk, Ohio. She currently has a 3.74 G.P.A. and plans to attend Indiana Wesleyan University to major in Photography. In high school, Lacey has been involved in Track for four years, was Chilly, the school’s mascot for three years, the musical for two years, book club for three years, cheerleading for one year, and held a job with the Kenton Times as a newspaper deliverer for six years. Lacey was inducted into the National Honor Society her junior year, and has also received the century award and Polar Bear Award for Track, and was Elks Teen of the month for the month of January. For the past two years she has attended Kenton Church of the Nazarene and helped at their vacation bible school, and has attended youth group at Kenton Missionary Alliance during her high school career. She has also been on mission trips to Bolair, West Virginia for the past nine years. Lacey will be receiving the Faculty Scholarship from Indiana Wesleyan University. Selena Nicole McCoy is the daughter of Frank and Ginger McCoy of Dunkirk. She currently has a 3.63 GPA and plans to attend The University of Akron majoring in Nursing. In high school, Selena has been involved in basketball for three years, track for four years, cross country for two years, and was inducted into the National Honor Society her junior year. Selena has received Elk’s Teen of the Month for December. She has also received the Akron Guarantee Scholarship. Brad Rickle Jr. is the son of Brad and Peggy Rickle. He currently has a 3.88 GPA and plans on attending the University of Northwestern Ohio where he will be majoring in robotics. In high school, Brad has participated in football for 2 years, and held a job for 3 years. Zane M. Whitaker is the son of Courtney and Angie Whitaker. 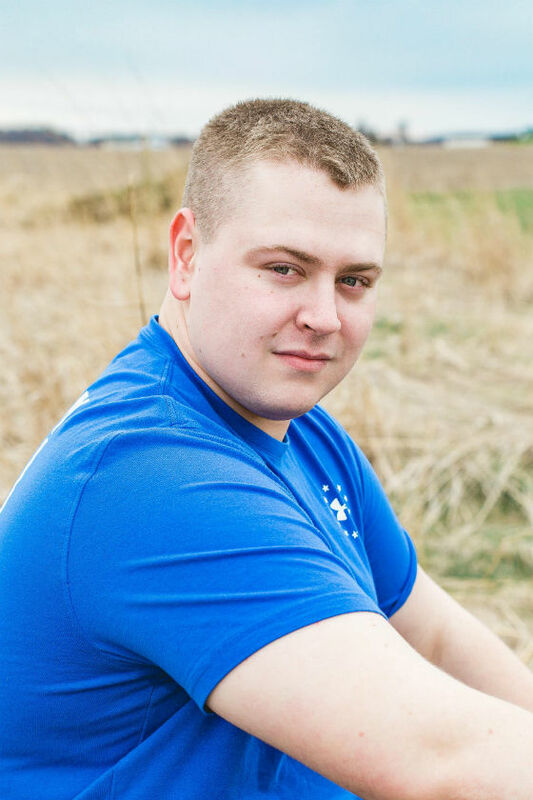 He has a 3.50 GPA and was accepted into Grob Systems, Inc.’s apprenticeship program. The apprenticeship program provides hands-on training and pays for an Associate’s Degree through Rhodes State College. 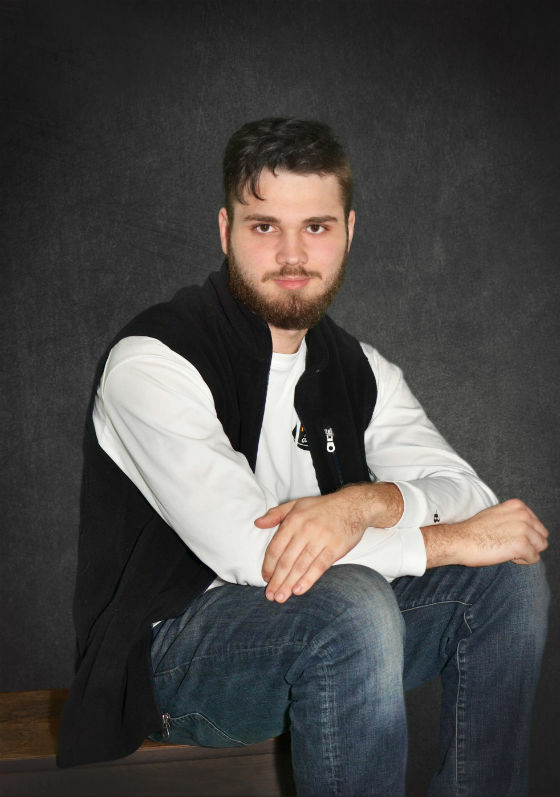 Zane plans on attending Rhodes State College majoring in Mechanical Engineering Technology. He received a structural engineering award his sophomore year. In his junior year, Zane was awarded the mechanical principles award and was inducted into the National Honor Society. He has run a small engine repair shop for the last two years and is certified in Advanced Electronic Fuel Injection tuning concepts for engine management systems. Claira Louise Wilson is the daughter of Andy and Darlene Wilson. She currently has a 3.80 GPA and will be attending Indiana Wesleyan University where she has been accepted into the John Wesley Honors College and will be majoring in communications. Clair has been a basketball and football cheerleader for four years, and was captain of both squads her senior year. She has been involved in FFA for four years, holding offices of Vice President and Reporter, and has been awarded the Star Chapter Farmer Award, the Ag Credit 110% Award, the Star Sheep Proficiency Award, and has earned her State FFA Degree. Clair is a member of the National Honor Society, was named an NWCC Scholar Athlete, and has earned the Polar Bear Award for Varsity Track and Cheerleading, and Most Improved for Cross Country. Clair has been involved in Student Council all four years of high school, and was the Student Body President her senior year. She was HN’s Elks Teen of the Year Nominee, Volunteer of the Year Nominee, Hardin County Lamb and Wool Queen, and the 2017 Hardin County Fair Queen. She has been in four HN musicals and is a member of HN’s “Awakened Commotion” A Capella choir. 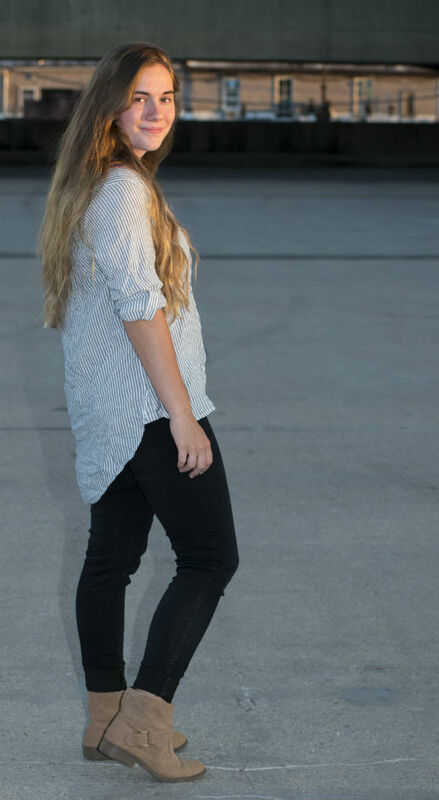 Clair is a member of the HN Fellowship of Christian Athletes and attends the Kenton Christian and Missionary Alliance Church where she is actively involved in the Youth Fellowship and sings on the Praise and Worship team. 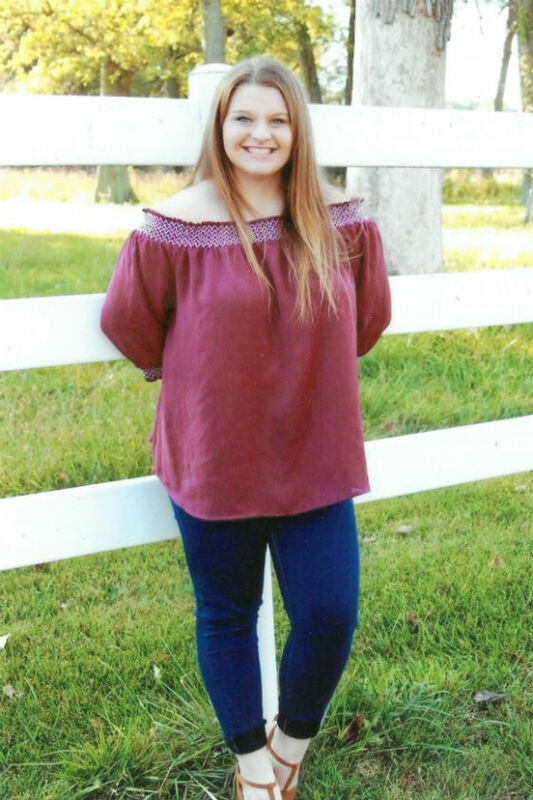 She is the recipient of an Indiana Wesleyan Academic Scholarship, an IWU John Wesley Honors College Scholarship, a Hardin County Sheep Producers Scholarship in memory of Steve Lowery, an HN FFA Scholarship, an HN FFA Alumni Scholarship, a Lotz Family Scholarship, and an Alice Minter Scholarship.